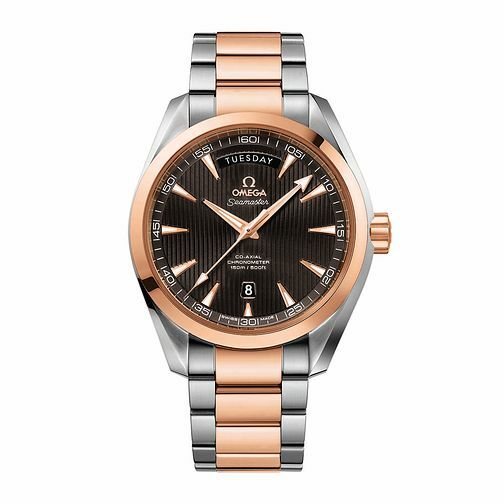 A stylish stainless steel and rose gold tone men's bracelet watch from the alluring Seamaster Aqua Terra collection by Swiss watchmaker Omega. Crafted with a stainless steel case, black dial, co-axial chronometer, day and date windows and 150 metres water resistance. Designed to be worn by the sophisticated modern gentleman.